Home How to Flash How to Flash Nokia Lumia 520 with Infinity Best? 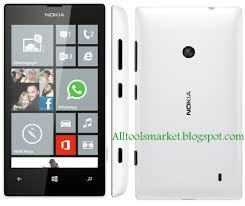 How to Flash Nokia Lumia 520 with Infinity Best? Are you a beginner mobile flasher? Are you having any confusion during flashing Nokia Lumia 520? Then you have choose and landed at true website and right platform. Today, I am going to describe how to flash Nokia Lumia 520 mobile phone with Infinity Best via only USB data cable without any box. On the World Wide Web (WWW), many different simple and high qualities flashing boxes and flashing tools are available for all kinds of mobile phones. you can also flash you phone through these flashing tools/boxes like HWK, Nokia Care Suite, MxKey, Nokia Phoenix and etc. But today I am going to tell you simple method of flashing with Infinity Best (BB5 Easy Service Tool) to flash your Nokia Lumia 520 phone. What is Infinity Best (BB5 Easy Service Tool)? InfinityBox Best/BB5 Easy Service Tool is an amazing and wonderful flashing box or tool. With it, you can flash all types of Nokia and other mobile cell phones on your PC/Windows without any box. Moreover, you can also service, unlock and repair all kinds of Nokia and other cell phones using PC or laptop. It is world best, simple, easy and 100% trusted flash tool/box, created and uploaded by Infinity Best team. These things which are very important, before flashing you must take your important files and things. After taking these things and files, you are able to flash your phone using PC. If all needed things you have stored then you can start flashing. So, don’t waste your time, flash your phone now. Keep in mind, flashing process is a risky process because during flashing your phone maybe dead. So, be carefully, and let’s start to flash your Nokia Lumia 520 phone. And also make sure that, before flashing you must take your important data like contacts, photos, messages and all those data which is available in your phone because after flashing your all data will be cleared and you cannot achieve them again. First you need to install your phone (Nokia Lumia 520) and Infinity Best USB driver on your PC. Then Install Infinity Best (BB5 Easy Service Tool) on your PC. When setup installed (Infinity Box), click there to open and run on your PC. After opening, this screen shoot will appear. Now, go to flashing area then this screenshot will appear. Now, go to model select and click on “ero” and select (RM-914). After this, put your phone downloaded firmware/flash file and go setting section & tick on the “Recovery Flashing”. Now, click there on Flash button here. After clicking on the flash button, connect your phone to PC. When your phone is connected, your phone will start flashing automatically. Now, wait till your phone is fully (100%) flashed. Congratulation! Your phone is flashed and now you can use. This is a simple method of flashing Nokia Lumia 520. So, if you have face any problem during flashing you must share your comment below. If you liked this, then must share this article on social media.